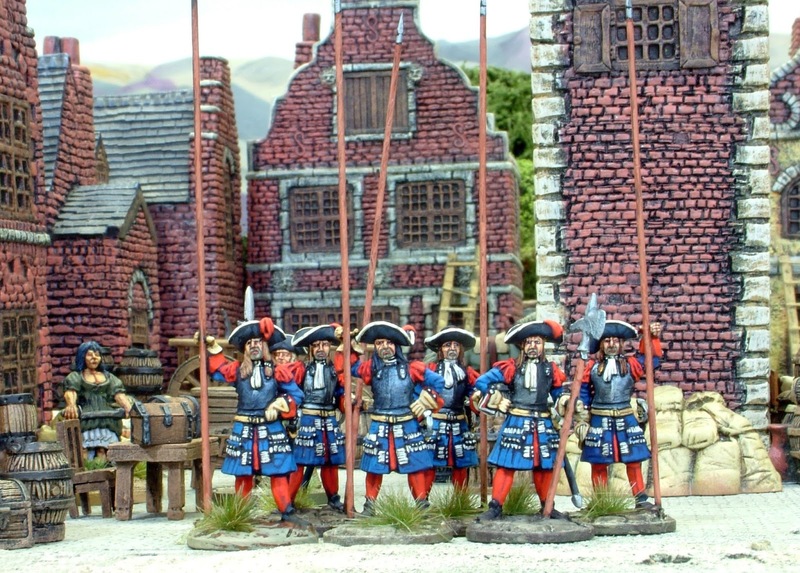 Barry Hilton - Clibinarium and I have discussed the final look of the Gardes Francaises at length and although we were both delighted with the pikemen, we were not totally comfortable with the musketeers. Clibinarium himself will post about the evolution of the musketeer sculpts soon but this brief note is here to let you know that they have been redesigned and will appear shortly on the blog. 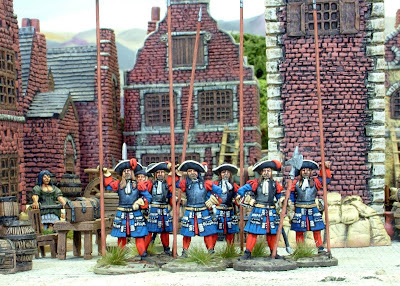 They will have more options than the first sculpts thus offering significant variety between multi battalion forces. The Gardes had six battalions. The other good news is that the command pack is also designed but some further detailing work is underway. Here is a teaser shot to keep everyone going. This also means that I'll have to speak very nicely to Mr Harrison as we would like to release the flags with the figures! Clarence, are you reading this?